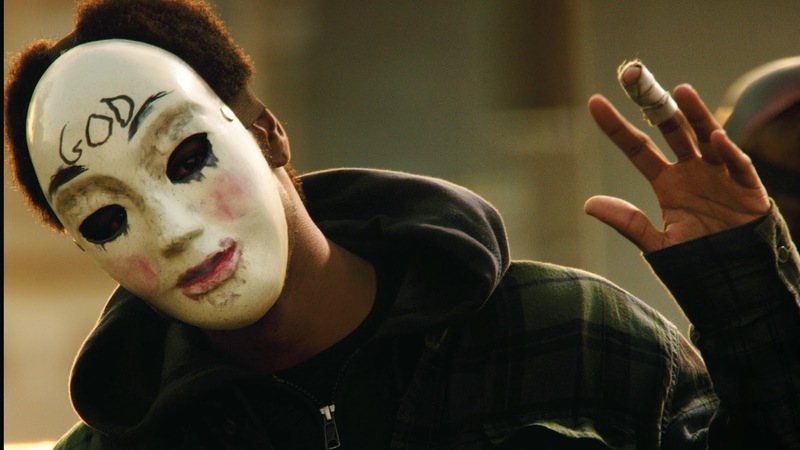 If you're like me, you're counting down the days until THE PURGE: ANARCHY arrives in theaters (it's 10, to be exact). I've been looking for a good--or at least entertaining--horror to see on the big screen this summer, and I am hoping this one's it. You may already know that we have a new set of victims lined up for this second installment (remember: Ethan Hawke's character was, ahem, purged in the last film and I assume we'll hear about what ever became of his family in this new story). The New Founders of America invite you to celebrate your annual right to Purge. The Purge: Anarchy, the sequel to summer 2013's sleeper hit that opened to No. 1 at the box-office, sees the return of writer/director James DeMonaco to craft the next terrifying chapter of dutiful citizens preparing for their country's yearly 12 hours of anarchy. Returning alongside DeMonaco to produce The Purge: Anarchy are Blumhouse Productions' Jason Blum (Paranormal Activity and Insidious series), alongside Sébastien K. Lemercier (Assault on Precinct 13, Four Lovers) and Platinum Dunes partners Michael Bay (Pain & Gain, Transformers franchise), Brad Fuller (The Amityville Horror, A Nightmare on Elm Street) and Andrew Form (The Texas Chainsaw Massacre, Friday the 13th). As Mindy Kaling tweeted recently, "Wait am I dumb, isn't the Purge always anarchy? "I can only imagine what they'll bring to the table with this one, and how they will make it more chaotic than the last film. But I am here for it. My only question is: Who will survive this one--anybody? 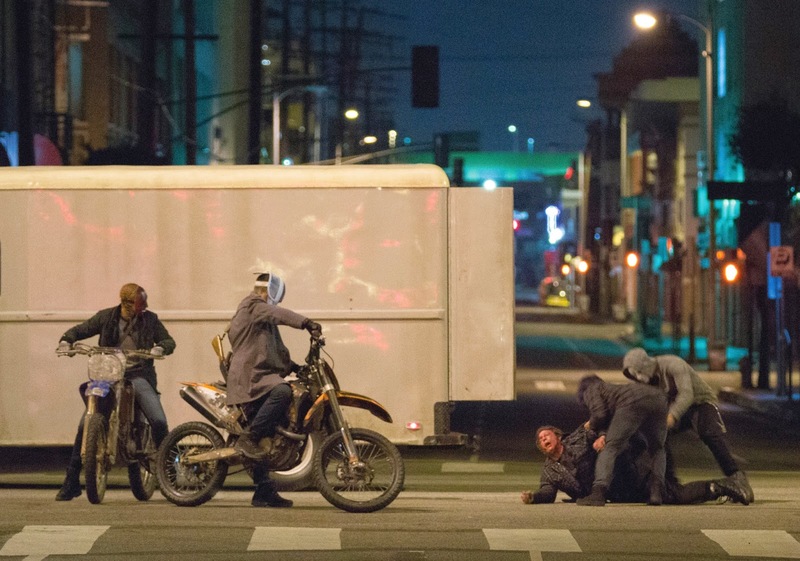 Check out a few new images from the film below, and get ready for THE PURGE: ANARCHY in theaters July 18th. You aren't the only one waiting for this to come out, really looking forward to it.